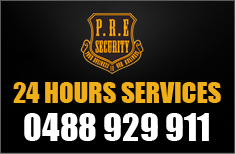 Your function is important to you and we can provide the security you need for peace of mind. Corporate Security has, over recent years, become a specialist role within the industry. The role calls for personnel with very high levels of PR and Customer Care Skills. PRE Security facilitates specialist training for personnel that our hand picked to perform these roles.